Ross Mill Farm is a multi-service farm dedicated to the pig as a household companion pet. 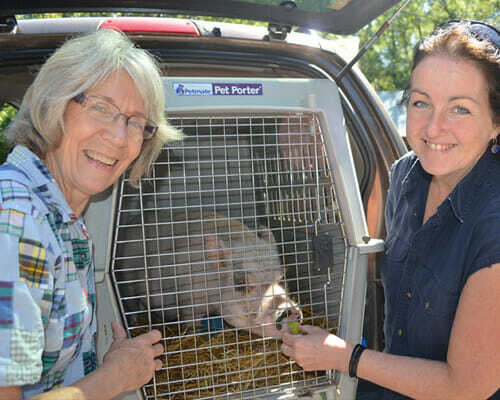 Ross Mill Farm Inc., founded in 1990, is recognized nationally as experts in the care, training, and understanding the behaviors of keeping pigs as pets. The Farm’s techniques, services, and products have become the standard for quality and excellence in the care of this unique breed type. The Lodge at Ross Mill Farm is a full-service facility exclusively for pet pigs. This state-of-the-art building encompasses over 5000 square feet. We offer short-term, long-term & elder care boarding, as well as veterinarian services, spa treatments & grooming, phone consultations, and transportation services. 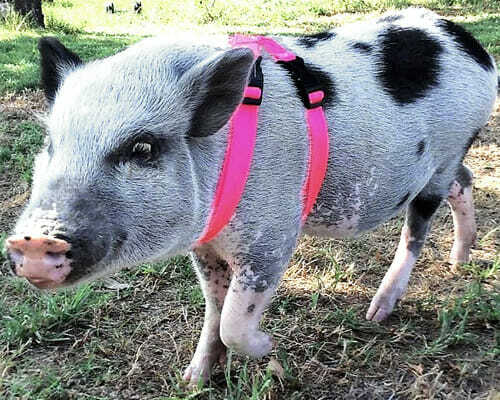 We offer products for your pet pig from feed to harnesses to grooming equipment. All products are vetted by us and also available at our on-site store. Ross Mill Farm is a foster home for Pig Placement Network‘s adoptable pigs, currently caring for over 100+ pigs waiting for their forever home. Ross Mill Farm is a foster home for Pig Placement Network, a non-profit organization that works to find homes for potbellied pigs. When you can't find your sleep mask, sometimes you just gotta make do with what you've got. Later, dude... I've got places to go and things to do. This gorgeous tail isn't going to swish itself, you know. Willow is very popular and in demand. We can't expect her to wait around to get her picture taken. Rock out with your tongue out... it's the weekend! Petunia wishes you all a wonderful weekend and a very Happy Easter. Remember... keep pork off the fork! Don't be a dork.